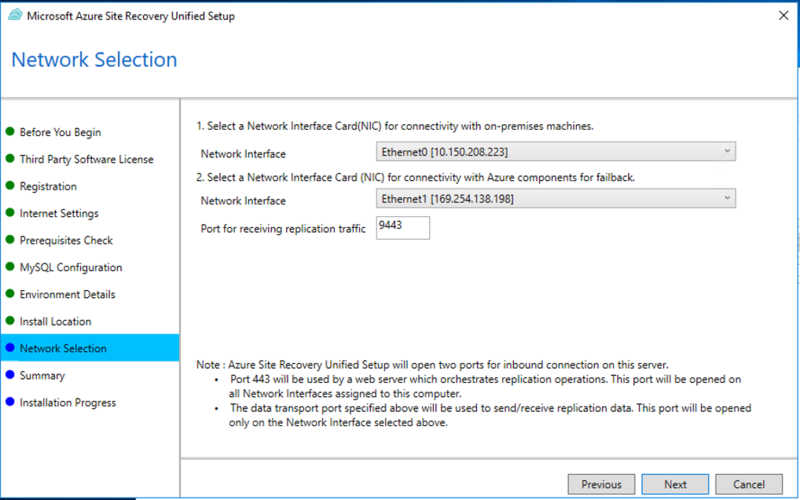 This article describes how to set up your on-premises environment to start replicating physical servers running Windows or Linux into Azure. 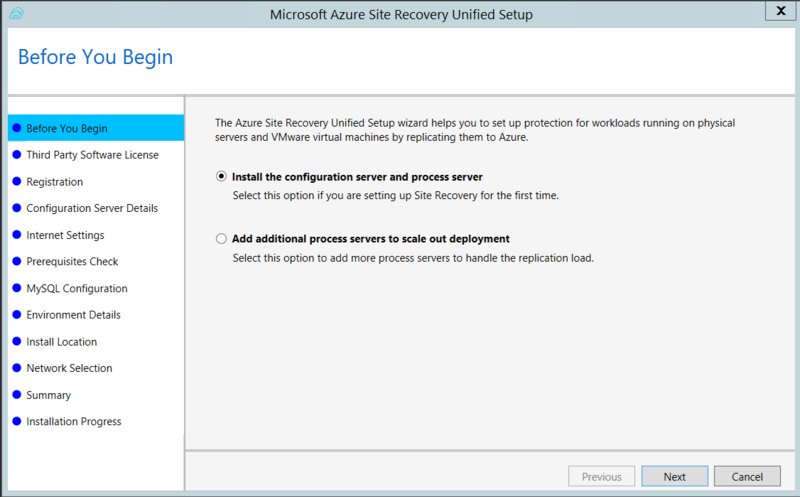 A Recovery Services vault in the Azure portal. A physical computer on which to install the configuration server. If you've disabled TLS 1.0 on the machine on which you're installing the configuration server, make sure that TLs 1.2 is enabled, and that the .NET Framework version 4.6 or later is installed on the machine (with strong cryptography disabled). Learn more. The following table lists the minimum hardware, software, and network requirements for a configuration server. time.nist.gov Used to check time synchronization between system and global time. time.windows.com Used to check time synchronization between system and global time. VMware vSphere PowerCLI PowerCLI version 6.0 should be installed if the Configuration Server is running on a VMware VM. 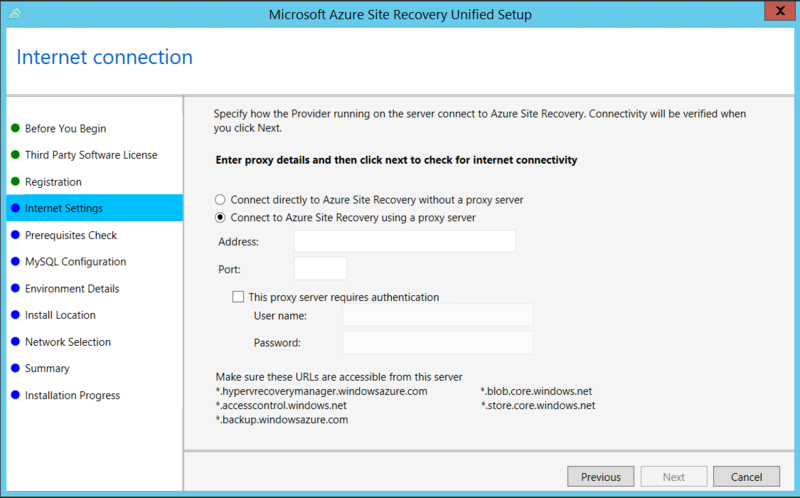 HTTPS-based proxy servers are not supported by the configuration server. 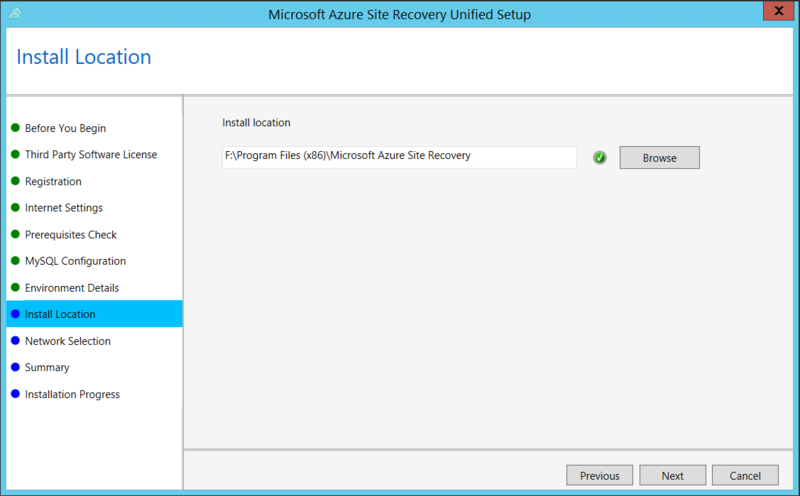 In the Azure portal, go to the Recovery Services vaults blade and select your vault. 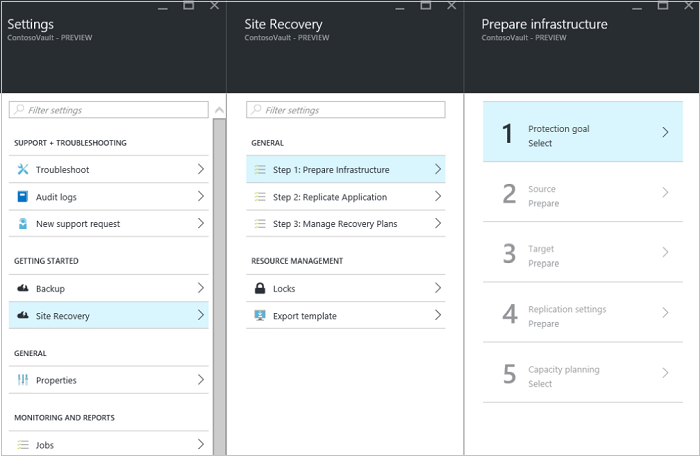 In the Resource menu of the vault, click Getting Started > Site Recovery > Step 1: Prepare Infrastructure > Protection goal. 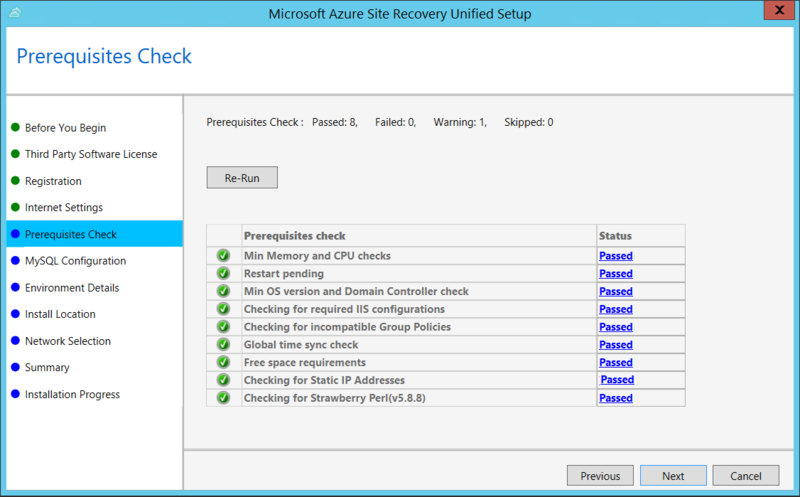 In Protection goal, select To Azure and Not virtualized/Other, and then click OK. 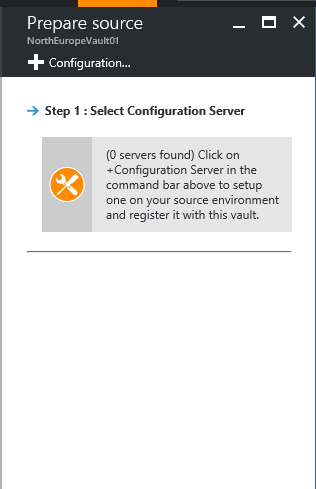 In Prepare source, if you don’t have a configuration server, click +Configuration server to add one. In the Add Server blade, check that Configuration Server appears in Server type. Download the vault registration key. 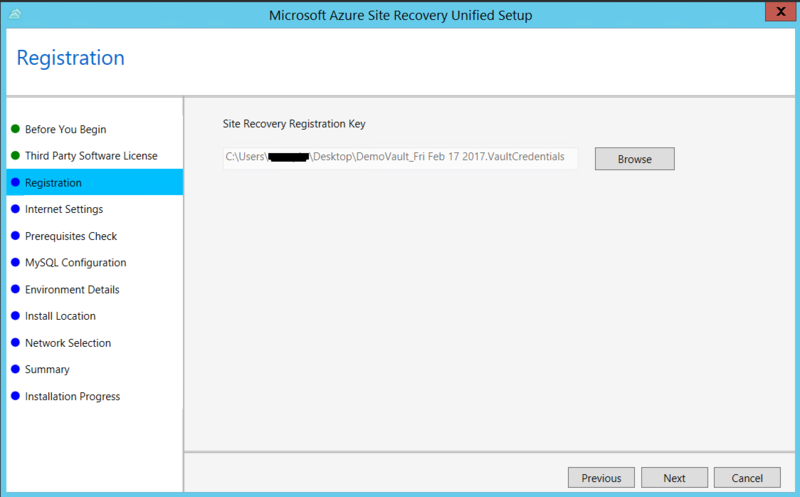 You need the registration key when you run Unified Setup. The key is valid for five days after you generate it. 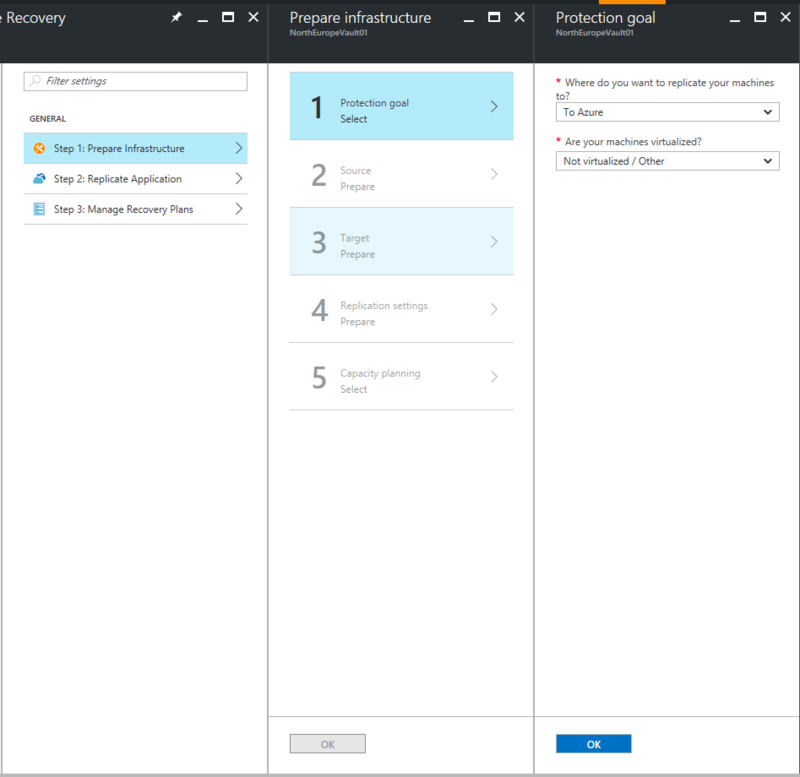 On the machine you’re using as the configuration server, run Azure Site Recovery Unified Setup to install the configuration server, the process server, and the master target server. Configuration server registration fails if the time on your computer's system clock is more than five minutes off of local time. Synchronize your system clock with a time server before starting the installation. The configuration server can be installed via a command line. Learn more. ERROR Failed to load Accounts. Error: System.IO.IOException: Unable to read data from the transport connection when installing and registering the CS server. Ensure that TLS 1.0 is enabled on the computer. Registration failures can be debugged by reviewing the logs in the %ProgramData%\ASRLogs folder. Message: ACS50008: SAML token is invalid. Ensure that the time on your system clock is not more than 15 minutes off the local time. Rerun the installer to complete the registration. 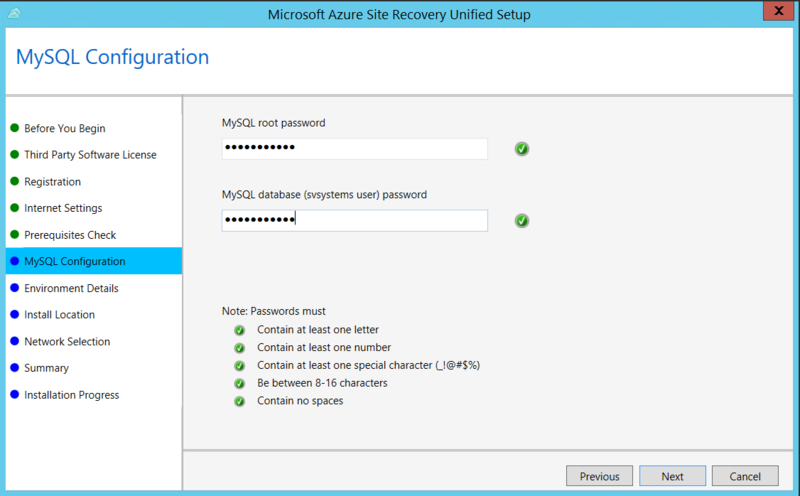 09:35:27 :DRRegistrationException while trying to get all disaster recovery vault for the selected certificate: : Threw Exception.Type:Microsoft.DisasterRecovery.Registration.DRRegistrationException, Exception.Message: ACS50008: SAML token is invalid. 06:28:45:Setup cannot proceed. 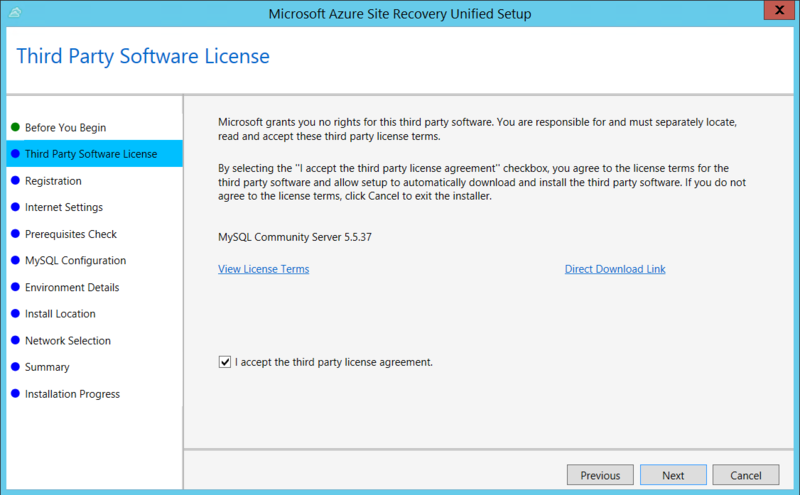 A certificate required to authenticate to Site Recovery cannot be created. 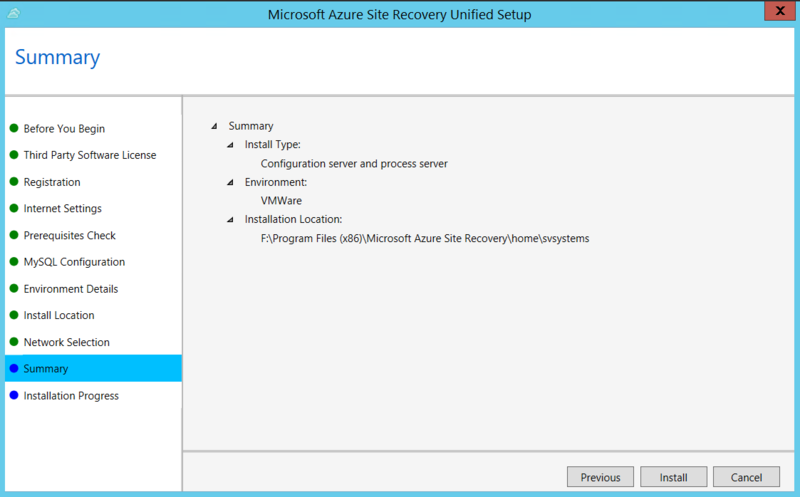 Rerun Setup Ensure you are running setup as a local administrator. Next step involves setting up your target environment in Azure.